To provide our students with the best possible experience, the Island Center for the Arts limits its offerings to two 14 day programs during the months of June and September. Each course is organized around a format of intensive small group and one-to-one instruction. With few exceptions, daily classes are held each morning from 9:30 am to 12:30 pm and afternoons are free to continue working independently and to explore and enjoy the island. Art discussions and critiques are scheduled from 6:00 pm to 7:30 pm and on alternate evenings Greek cultural presentations are offered. Field trips, painting or image collecting excursions to special sites on the island, organized social activities, group dinners and free time create an intense, rich and varied program. Cultural immersion, discovery, and a sense of place imparts a tremendous influence on the artistic experience and is crucial to our program philosophy. Each workshop commences with a visit to Athens highlighted by guided tours of the Acropolis, ancient Agora and museums. In Skopelos, participants are integrated into the island environment with accommodations very near the port and heart of the village. Additional information provided offers students an insight into the lively contemporary local culture which reflects its ancient past as well as contemporary Greek culture and thought. 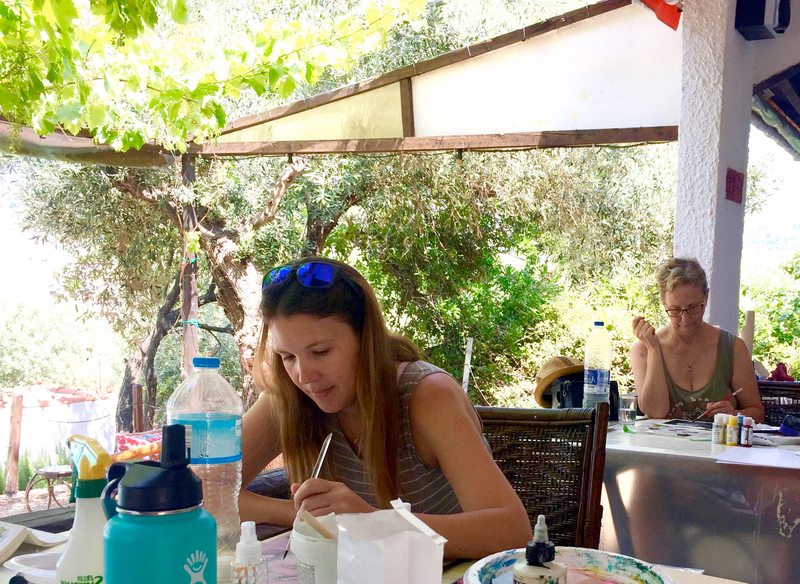 Included in program costs are accommodations, land & sea travel within Greece, archaeological site & museums admissions, field trips, cultural presentations and some group evening meals.